Nate Diaz decided to inject himself into the ongoing saga involving Khabib Nurmagomedov and his teammate after the brawl at UFC 229 on Saturday night. Nate Diaz has suddenly found a way to get involved in the ongoing drama surrounding Khabib Nurmagomedov, his teammate and the brawl that happened following the conclusion of the UFC 229 main event. The entire situation started with Nurmagomedov leaping the cage last Saturday night to go after one of Conor McGregor’s teammates, who was working his corner.While that was taking place, three of Nurmagomedov’s teammates ended up getting into a near fight with McGregor inside the cage while there was almost a riot on the outside. The end result was UFC president Dana White promising that the teammates of Nurmagomedov who were involved in a physical altercation with McGregor would never fight in the UFC again. On Thursday, Nurmagomedov then fired back and said that if his teammate Zubaira Tukhugov is released from the UFC then he would quit as well. Tukhugov was scheduled to face McGregor’s teammate Artem Lobov at UFC Fight Night in Moncton on Oct. 27 bu the was pulled from the card. 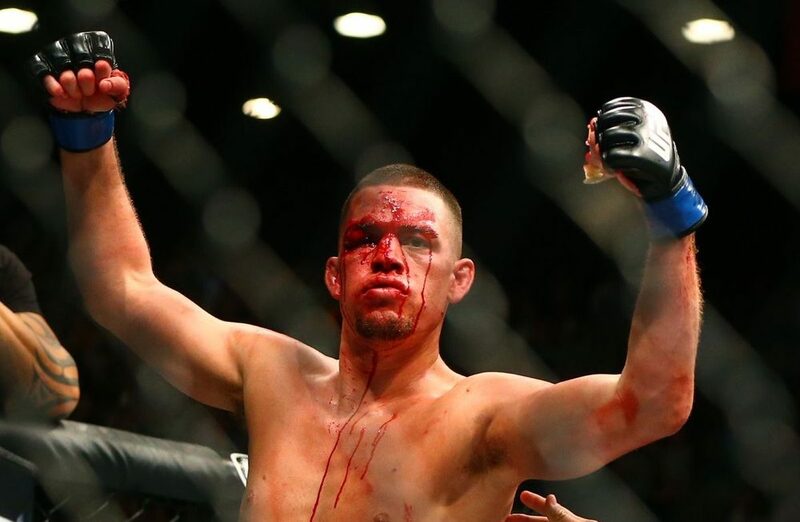 Diaz decided to jump into the mix with a message of his own aimed at White and the UFC. His message ended with ‘fire me, it will be better that way, I think it’s more fair that way’. Diaz has been embroiled in his own situation with the UFC after he was scheduled to face Dustin Poirier at UFC 230 on Nov. 3 in New York. Poirier dropped out of the fight earlier this week due to injury and Diaz opted not to face any replacement opponent on the card. Now for whatever reason, Diaz is jumping into the fray with the ongoing feud between Nurmagomedov and McGregor.